Location: Hampden State School, Kuttabul. Local Government Authority: Mackay Regional Council. Type of Construction: Timber with Brass plaques, Vietnam veteran added via plastic label. PERNA, Vince PERNA, Vincenzo (Vince), Sapper, 1735397, 17th Construction Squadron, Royal Australian Engineers, born 24 September 1948 in Mackay, Queensland. Served in South Vietnam from 7 January 1970 to 7 January 1971. ANDERSON, A.A.L. (D.F.C.) ANDERSEN, Arnold Andreas Leslie, (D.F.C. ), Warrant Officer, 426001 (RAAF), 582 Squadron. Born 12 August 1910 in Mackay, Queensland. Enlisted 21 May 1942, discharged 24 June 1946. ANDREWS, T.H. (P.O.W.) ANDREW, Thomas Henry, Private, QX13189, 2/26 Infantry Battalion, enlisted 5 July 1940, discharged 16 November 1945. AVENELL, H.A. AVENELL, Henry Arthur, Private, QX8281, 2/6 Company AASC, enlisted 10 June 1940, discharged 28 June 1943. Died 9 November 2005 aged 86 years. BARTLETT, C.E. (P.O.W.) BARTLETT, Colin Edward, Private, Q71375, Bribie Battery, enlisted 11 MArch 1941, discharged 21 May 1941. BARTLETT, Colin Edward, Private, QX19484, Born 23 March 1919 in Mackay, Queensland. 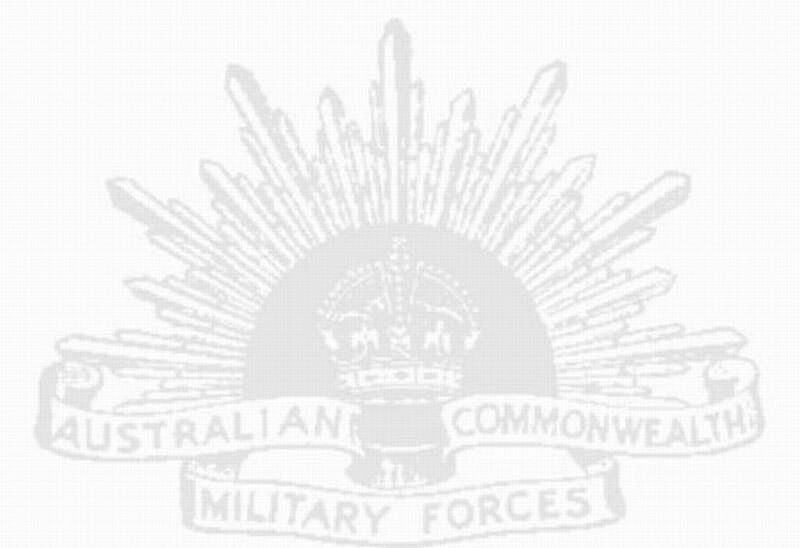 2/26th Australian Infantry Battalion, enlisted 29 May 1941, discharged 11 December 1945. Died 19 November 1974 in Mackay, Queensland aged 55 years. buried 20 November 1974 in Mount Bassett Cemetery, Mackay. BAULCH, H.C. BAULCH, Henry Charles, Private, QX18576, 2/2 Company AASC, enlisted 25 March 1941, discharged 30 January 1946. BIDDLE, H.A. (W) BIDDLE, Henry Arthur, Driver, QX8284, 2/6 Company AASC, enlisted 10 June 1940, discharged 1 November 1945. BLESSINGTON, J.C. (PRESUMED K.) BLESSINGTON, James Ernest, Private, QX8285, Q L OF C AREA, enlisted 10 June 1940, discharged 13 September 1942.Died 26 August 1982. Ashes interred at Albany Creek Memorial Park, Brisbane, Queensland. BLOXOM, A.F. (W) BLOXSOM, Allan Francis, Private, QX2889, 2/32nd Australian Infantry Battalion, enlisted 5 April 1940, discharged 29 November 1945. BROOKS, E.A. BROOKS, Edward Arthur, Private, Q215686, 15 Battalion Volunteer Defence Corps, enlisted 1 December 1943, discharged 21 October 1945. BROOKS, Edward Arthur, Aircraftman 1, 453055 (RAAF), WTU LARA, enlisted 14 July 1944, discharged 16 October 1945. BROWN, K. BROWN, Keith, Leading Aircraftman, 151836, 100 Squadron, enlisted 13 April 1944, Discharged 8 March 1946. BULL, C.C. (K) BULL, Claude Charles, Private, QX8288, 2/9th Australian Infantry Battalion, enlisted 10 June 1940, Killed in Action, 11 August 1941 aged 23 years, Tobruk, Libya. Buried in Tobruk War Cemetery, Tobruk, Libya. CAMERON, F. (Snr.) (D. P.O.W.) CAMERON, Finlay, Gunner, QX8427, 2/10th Field Regiment, enlisted 17 June 1940, Died of Illness whilst a P.O.W., 7 June 1945 aged 42 years, Sandakan, Borneo. No known grave. Commemorated on Labuan Memorial, Borneo, Malaysia. CAMERON, F. (Jnr.) CAMERON, Finlay, (Jnr) Leading Aircraftman, 79972 (RAAF), Chemical Research Unit, enlisted 16 December 1942, discharged 19 December 1945. CAMERON, J. (K) CAMERON, John, Private, QX8289, 2/9th Australian Infantry Battalion, enlisted 10 June 1940, Accidental Death, 30 January 1942 aged 24 years, Palestine. Buried in Gaza War Cemetery, Gaza, Palestine. CAMERON, R. (K) CAMERON, Robert, Private, QX8290, 2/9th Australian Infantry Battalion, enlisted 10 June 1940, Killed in Action, 9 August 1941 aged 25 years, Tobruk, Libya. Buried in Tobruk War Cemetery, Tobruk, Libya. CLARKE, S.T. CLARKE, Sydney Thomas, Lance Corporal, QX18580, 2/2 Company AASC, enlisted 25 March 1941, discharged 29 May 1944. DUNCAN, K.D. DUNCAN, Kevin Douglas, Private, QX52092, 37/52 Australian Infantry Battalion, enlisted 3 June 1943, discharged 22 November 1946. EDMONDS, D.M. EDMONDS, Douglass Montgomarie, Corporal, QX41591, 2/12th Australian Infantry Battalion, enlisted 25 November 1942, discharged 26 November 1945. EDMONDS, L. EDMONDS, Lawrence, Private, QX8151, 2/15th Battalion, enlisted 2 June 1940, discharged 29 November 1940. GORING, A.A.L. GORING, Alfred Allan Leslie, Corporal, QX25915, 2/1 Field Company, enlisted 8 January 1942, discharged 4 July 1946. GREEN, C.J. GREEN, Cyril James, Private, QX2892, 2/15th Australian Infantry Battalion, enlisted 5 April 1940, discharged 8 November 1945. GREEN, N.W. GREEN, Norman William, Private, QX12238, 2/25th Battalion, enlisted 7 July 1940, discharged 2 May 1944. GREEN, P.H. (K) GREEN, Percival Harold, Corporal, QX8222, 2/15th Australian Infantry Battalion, enlisted 6 June 1940, Killed in Action, 1 September 1942 aged 26 years, El Alamein, Egypt. Buried in El Alamein War Cemetery, El Alamein, Marsa Matruh, Egypt. GRIFFITHS, J.H. GRIFFITHS, Joseph Henry, Private, QX18584, 2/2 Australian Machine Gun Battalion, enlisted 25 March 1941, discharged 4 January 1946. GRIMES, A. (K) GRIMES, Alfred Ernest, Corporal, QX12073, 2/26th Australian Infantry Battalion, enlisted 24 June 1940, Died of Illness whilst Prisoner of War, 29 August 1943 aged 42 years, Burma. buried in Thanbyuzayat War Cemetery, Burma. HANSEN, S.V. HANSEN, Segfred Valdmer, Driver, QX27339, 2/96 Transport Platoon, enlisted 15 January 1942, discharged 2 April 1946. Died 25th September 1985 aged 73 years. HANSEN, W.C. HANSEN, William Charles, Private, QX27340, HQ 25th Aust Inf. Brigade, enlisted 15 January 1942, discharged 11 December 1945. HOBDAY, A. (P.O.W.) HOBDAY, Arthur, Private, QX12043, 2/26th Australian Infantry Battalion, enlisted 23 June 1940, discharged 2 May 1946. HOWES, A.M.J. HOWES, Alan Michael John, Leading Aircraftman, 123815 (RAAF), 3 Aircraft Depot, enlisted 25 February 1943, discharged 10 January 1946. JORDAN, E.C. (W.A.A.F.) JORDAN, Edna Charlotte, Corporal, 100259 (RAAF), 3 Embarkation Depot, enlisted 24 June 1942, discharged 7 April 1944. JORDAN, G.F. JORDAN, George Frederick, Driver, QX11915, 2/2/ Company AASC, enlisted 12 June 1941, discharged 22 November 1945. KINNON, J.C. KINNON, John Connors, Warrant Officer, 425860 (RAAF), 9 Aircrew Holding Unit, enlisted 21 May 1942, discharged 22 January 1946. KNUDSON, C.H. KNUDSEN, Clyde Hamilton, Corporal, QX2896, 2/33 Battalion, enlisted 5 April 1940, discharged 3 January 1945. MATHESON, S.H. (K) MATHESON, Stanley Hugh, Private, QX2713, 2/9th Australian Infantry Battalion, enlisted 28 October 1939, Killed In Action, 31 May 1941 aged 31 years, Tobruk, Libya. Buried in Tobruk War Cemetery, Tobruk, Libya. McKINNON, A.E. MacKINNON, Angus Ewan, Private, QX25928, 2/31st Australian Infantry Battalion, enlisted 8 January 1942, discharged 20 May 1946. McKINNON, J.G. MacKINNON, Jack Gordon, Private, QX31130, 2/31st Australian Infantry Battalion, enlisted 1 April 1942, discharged 18 January 1946. McKINNON, T.J. MacKINNON, Thomas John, Private, QX18909, 2/31st Australian Infantry Battalion, enlisted 11 December 1941, discharged 10 January 1944. McLEAN, K.W. McLEAN, Kenneth Weston, Private, QX18675, 11 Training Battalion, enlisted 25 March 1941, discharged 18 July 1941. McLEAN, Kenneth Weston, Leading Aircraftman, 76442 (RAAF), Eastern Area Headquarters, enlisted 6 July 1942, discharged 13 March 1946. Died 1999 aged 89 years. MOODY, F.J. MOODY, Frederick James, Craftsman, QX32626, 2/117 Australian Brigade Workshop, enlisted 3 June 1942, discharged 23 April 1946. MOONEY, S.J. MOONEY, Sidney James, Private, 13303 (QX11706), 2/12 Battalion 13th Reinforcements AIF, enlisted 22 April 1941, discharged 18 May 1953. NEILSEN, V. NIELSEN, Vernon, Private, QX25931, 2/24 Infantry Battalion, enlisted 8 January 1942, discharged 17 May 1946. NICOL, J.R. NICOL, John Robert, Private, Q144787, General Details Depot, enlisted 14 August 1942, discharged 5 April 1943. NICOL, John Robert, Able Seaman, B4588 (RAN), HMAS Australia, enlisted 6 April 1943, discharged 9 April 1946. NICOL, K. NICOL, Kevin, Leading Aircraftman, 151764 (RAAF) Laverton, VIC., enlisted 30 March 1944, discharged 5 May 1948. O'SULLIVAN, W. O'SULLIVAN, William, Sergeant, QX8167, 2/28th Battalion, enlisted 2 June 1940, discharged 29 January 1945. PARSONS, E.N. PARSONS, Eric Norman, Leading Aircraftman, 123468 (RAAF), 6 Transport and Movement Office, enlisted 27 January 1943, Died of Illness, 29 October 1945 aged 23 years, Townsville, Queensland, Australia. Buried in Townsville War Cemetery, Belgian Gardens, Townsville, Queensland. REINKE, J.W. REINKE, James William, 123830 (RAAF), 2 Airfield Construction Squadron, enlisted 25 February 1943, discharged 17 January 1946. REINKE, R.J. REINKE, Reginald John, Private, Q215540, 15 Battalion Volunteer Defence Corps (QLD), enlisted 1 June 1942, discharged 21 October 1945. REINKE, Reginald John, Leading Aircraftman, 123841, 200 Flight, enlisted 25 February 1943, discharged 31 January 1946. SCERIHA, E.E. SCERIHA, Evan Edward, Leading Aircraftman, 170343 (RAAF), 6 Transport and Movement Office, enlisted 29 June 1944, discharged 19 March 1946. SCERIHA, J.W. SCERIHA, Joseph William, Private, QX27315, Australian Imperial Force, enlisted 8 January 1942, discharged 15 January 1942. SCERIHA, Joseph William, Private, QX30891, BC BASE SIGS REGT, enlisted 25 March 1942, discharged 12 August 1952. SCERIHA, R.V. SCERIHA, Robert Victor, Leading Aircraftman, 123993 (RAAF), 3 Stores Depot, enlisted 12 March 1943, discharged 7 August 1946. SCHOFIELD, E.J. SCHOFIELD, Edwin James, Private, QX8271, 2/25th Battalion, enlisted 9 June 1940, discharged 22 October 1943. SCHOFIELD, W.J. 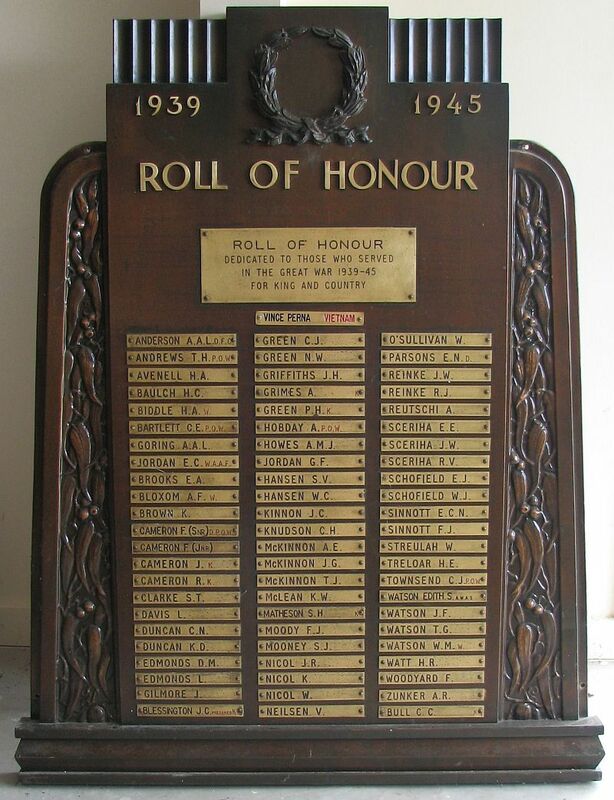 SCHOFIELD, William John, Private, QX18597, 2/25th Battalion, enlisted 25 March 1941, discharged 10 October 1942. SINNOTT, E.C.N. SINNOTT, Edward Cecil Norman, Private, QX18629, 2/2nd Machine Gun Battalion, enlisted 1 April 1941, discharged 6 December 1945. SINNOTT, F.J. SINNOTT, Frederick John, Private, QX24798, Q L OF C RO, enlisted 11 December 1941, discharged 1 October 1942. SINNOTT, Frederick John, Leading Aircraftman, 150570 (RAAF), 6 Aircraft Depot, enlisted 13 September 1943, discharged 6 December 1945. STREULAH, W. STREHLAU, William Edward, Private, QX29940, 2/25 Infantry Battalion, enlisted 10 February 1942, Discharrged 6 March 1946. TOWNSEND, C.J. (P.O.W.) TOWNSEND, Christie John, Private, QX12098, 2/26th Infantry Battalion, enlisted 24 June 1940, discharged 1 February 1946. TRELOAR, H.E. TRELOAR, Hugh Edward, Craftsman, QX18600, 2/6th Armoured Regiment, enlisted 25 March 1941, discharged 5 September 1946. WATSON, EDITH S. (A.W.A.S.) WATSON, Edith Sarah, Private, QF270143, Australian Womens Army Service, enlisted 27 March 1943, discharged 29 November 1945. WATSON, J.F. WATSON, James Francis, Private, QX25940, 2/2nd Machine Gun Battalion, enlisted 8 January 1942, discharged 20 December 1945. WATSON, T.G. WATSON, Thomas George, Private, QX41592, 2/25th Australian Infantry Battalion, enlisted 25 November 1942, discharged 29 June 1944. WATSON, W.M. (W) WATSON, Walter Maitland, Private, QX18635, 2/2 Company AASC, enlisted 1 April 1941, discharged 24 December 1945. WATT, H.R. WATT, Harold Roy, Private, QX18683, Born 27 October 1908 in Mackay, Queensland. 2/31st Battalion, 9th Reinforcements, enlisted 28 April 1941, discharged 16 September 1942. Died 23 January 1985. Buried in Roma Cemetery, Queensland. WOODYARD, F. WOODYARD, Fred, Lance Corporal, QX25901, 2/7th Battalion, enlisted 8 January 1942, discharged 11 December 1945. ZUNKER, A.R. ZUNKER, Arnold Roy, Private, QX48032 (Q114587), 127 Australian General Transport, enlisted 14 June 1941, discharged 22 December 1944.
last updated 07 March 2019 .